1. Initiate a proper and speedy investigation on the murder and immediate arrest of the culprits, thereby ensuring the due process in the investigation and to avoid impunity. 2. Immediate deployment of Police force in the community for the protection and security to other leaders and his family members who are also threatened and fired after Suresh Oraon’s killing. 3. Guarantee access to justice and reparation to the wife and children of Mr. Suresh by providing a compensation amount of at least 20 lakhs and a job in order to fulfill her and their children’s right to food and nutrition. Sureh Oraon, a young tribal leader in Kusm Tola was murdered in coldblood on June 7. He was shot at 10 am by four unidentified men armed with weapons in the outskirt of the village. Sureh Oraon, along with other youth initiated the local struggle committee ‘Gramin Sangharsh Samiti’ (GSS) in 2010. GSS was protesting against the mining operations of the Central Coalfields Limited (CCL)which started in 2009. Due to the activities of CCL, land was taken away from the communities, their means of survival was threatened, environment was polluted and the community was exposed to displacement from their lands. Suresh and the members of GSS have been putting tremendous efforts in educating the community on their rights, especially under the Rehabilitation & Resettlement Policy, mobilising the community and leading them to organise and take part in demonstrations, negotiations, filing of the PIL and Memorandums to the State. As a result, some of the community members were able to get jobs against the acquired land as per the Rehabilitation & Resettlement Policy. However, the resettlement terms and conditions offered by the CCL have not been accepted by GSS and negotiation was still ongoing. Suresh Oraon was charged with criminal acts when he filed a PIL in Ranchi High Court against blasting in Kusum Tola and Henjda. Suresh and 8 other men from Kusum Tola were arrested and were under imprisonment for 6 months. The court found them innocent and acquitted them. The case was closed formally in 2017. Last year, under Suresh’s leadership, the community organised a mass strike, demanding adequate compensation and resettlement in Dembua –with constructed houses and basic services like water, health facilities, school etc as per Rehabilitation & Resettlement Policy. Since then, Suresh and some young leaders have started to get threats by some ‘unknown’ sources. However, they did not stop fighting for their survival and were in constant dialogues with the CCL officials, pressurizing them to fulfill their demands as per the promise made. 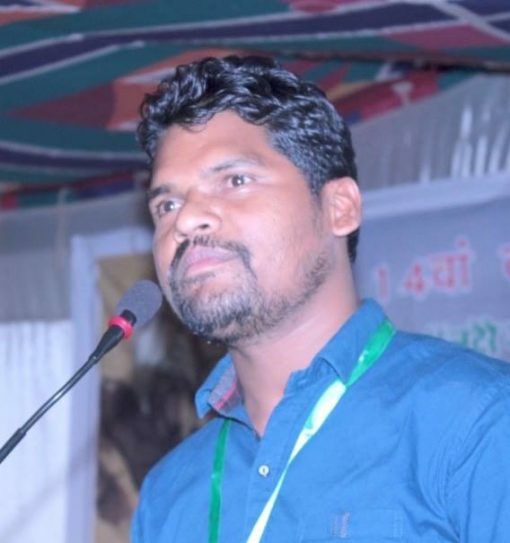 FIAN India condemns the brutal murder of Suresh Oraon who was a human rights defender. His death is not only a tragedy; it is also a huge loss to the community but to our nation as a whole. With due regards to the rights for every person and obligations for the state authorities arising from the Constitution of India, FIAN India has demanded an independent probe.